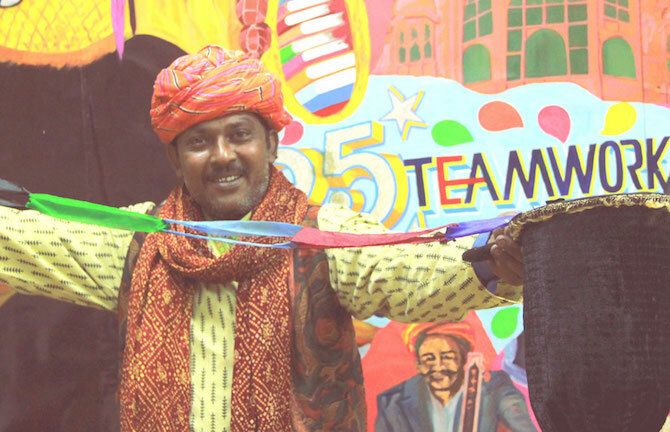 Raheman Shah is a street magician who brings alive the ancient tradition of majak (magic) from India which used to involve a travelling group of artists and performers interacting with audiences and creating a bond of mythology and culture in their wake. Raheman, who performs along with his two aides, has a repertoire of tricks involving interactive and participatory magic which are immensely popular. Not only has Raheman performed at Dubai, Tanzania, Burkina Faso and Turkmenistan, he has also featured in an inspiring documentary Tomorrow We Disappear on fading artistry and the tenacity of tradition by filmmakers Adam Weber and Jimmy Goldblum.